Stella Mary Newton, née Pearce, was the daughter of Georgiana Maria Hoby, a suffragist and journalist, and Henry Pearce, a bookseller. She left school at age 16 to become an actress. She began her career as an understudy in the Shakespearean touring company managed by Frank Benson. She also made some of the costumes, showing great flair and imagination. She became an assistant to designer George Sheringham and then went into business for herself. Between the world wars, she ran a succession of ladies' haute couture shops in London. In 1934, she married Eric Newton, an art historian who became art critic for the Sunday Times and the Guardian. The same year, she was asked to work with T.S. Eliot on The Rock, a religious pageant, which required the creation of costumes from all eras of English history from 1066 to the 1930s. She then worked with him on the original production of Murder in the Cathedral (1935). Her London home became a popular meeting place for young artists. World War II curtailed her fashion business, but she was becoming increasingly interested in the role of costume in dating old paintings. This was a unique skill that proved invaluable to the National Gallery and later to art collections around the world. She created a post-graduate course in the history of dress at the Courtauld Institute and taught it for 10 years. 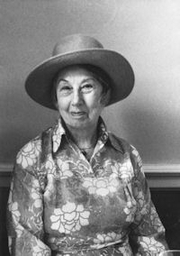 Late in life, she embarked on a writing career and produced books such as Renaissance Theatre Costume (1975), Fashion in the Age of the Black Prince (1980) and The Dress of the Venetians, 1495-1525 (1988). In 1990, she was the subject of a British television documentary. Stella Mary Newton is currently considered a "single author." If one or more works are by a distinct, homonymous authors, go ahead and split the author. Stella Mary Newton is composed of 2 names. You can examine and separate out names.